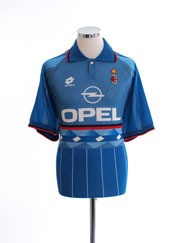 As with so many football cities red and blue separate Milan’s football fans. 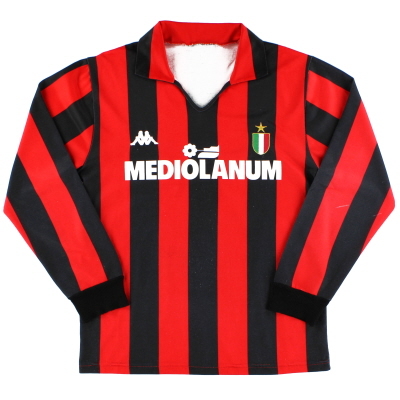 What make’s the city's two teams so unique though is that in each case the colour is combined with black stripes. 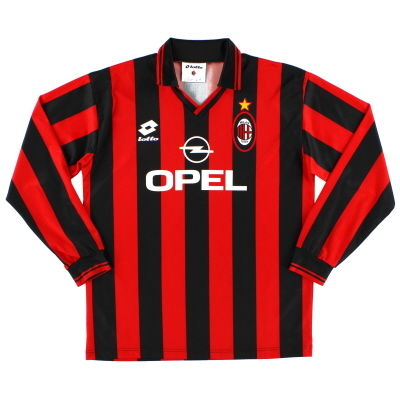 AC Milan (or to give them their full name, Associazione Calcio Milan) have worn red and black since their formation in 1899, and for the most part, the colours have been combined into a distinctive design of very thin stripes, generally paired with white shorts and black socks. 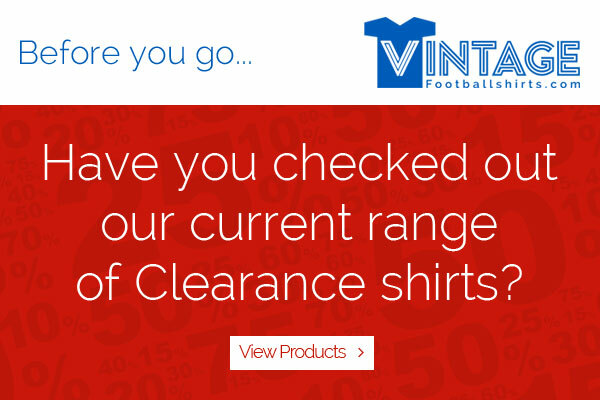 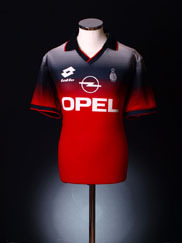 In an admirable tradition, that may seem alien to the ever-changing modern football kit world, the club's away kit is always white (although granted a fair smattering of third kits have been produced, often in red or black, but these are seldom worn). 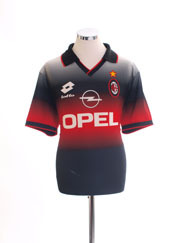 The white kit is considered lucky by the club thanks in part to the fact that they have won 6 out of 8 European Cup/Champions League finals in this colour compared to just 1 out of 3 whilst sporting the home kit. 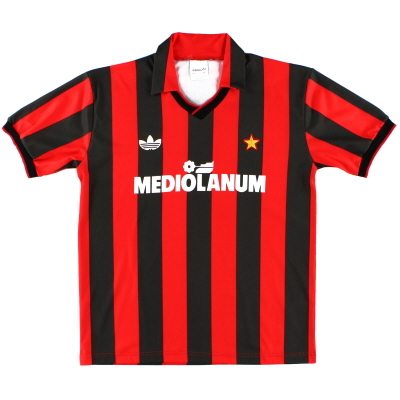 For British fans the additional graphics and badges that often appear on the Milan shirt may be a bit of a mystery but each has a special significance. 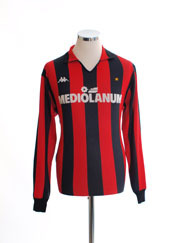 The colours of the Italian flag (normally in the form of a shield or a ‘bullseye’) are worn by the holding Italian league champions and in fact until fairly recently Milan seldom featured their own crest on the club shirt and instead often just featured the Italian flag honour! 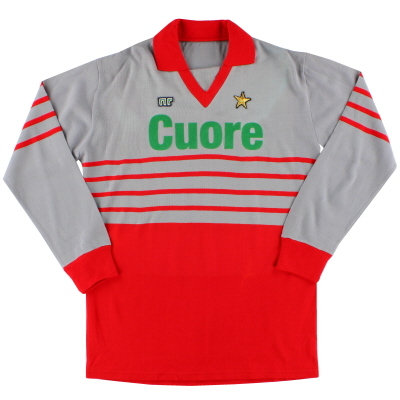 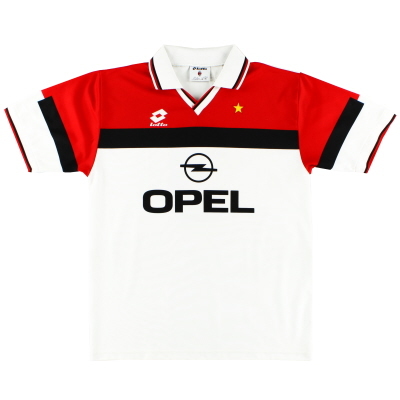 The gold star that generally sits above the club crest signifies the fact that the club have won 10 Italian league titles and was first worn on the famous red and black stripes in the 79-80 season following the 78-79 league success. 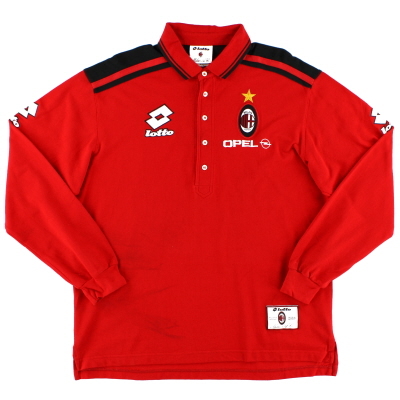 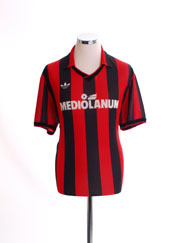 The club’s first sponsor was the amusingly named ‘Pooh’ in 1981, since then numerous companies have graced the i Rossoneri jerseys including Hitachi (82-83), Motta (92-94) and Bwin (06-10). 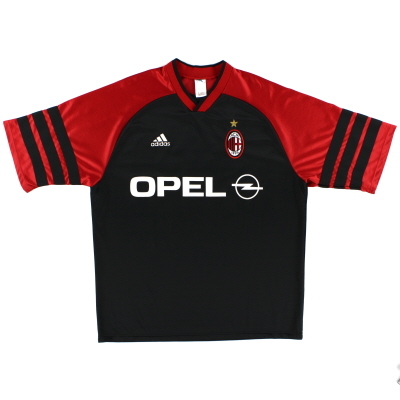 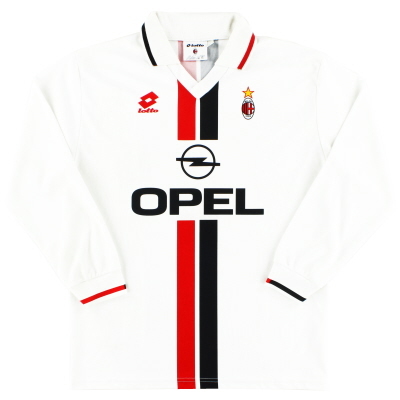 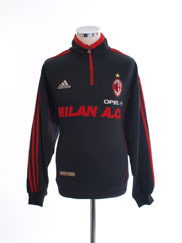 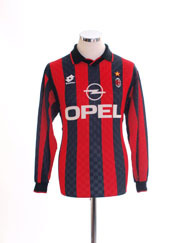 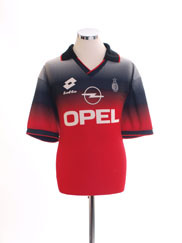 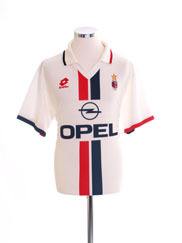 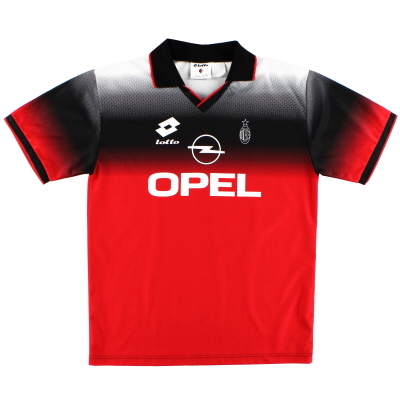 Milan’s longest running sponsors however were car manufacturers Opel who sponsored the side from 1994 to 2006.